In the meantime, I need to be in the present...enjoy whatever comes my way and finish up on my summer reading list. 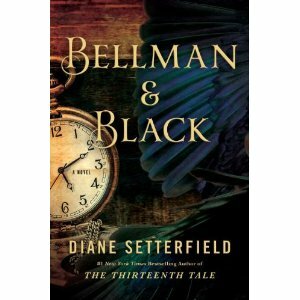 In the mail today...Bellman & Black by Diane Setterfield, author of The Thirteenth Tale. It's an advanced reading copy, and I'm anxious to settle into it. Nothing like a gothic novel to accompany a gloomy summer afternoon! Pour the tea, please.